I grew up in a household where my mother’s answer to the question, “What’s for dinner?” was most likely “steak,” “chicken” or “pork chops.” Most of our meals focused around meat with white rice or potatoes – french fries were our favorite – and one serving of vegetables. I am very grateful to have grown up in a loving family where we had a meal on the table every night; however many years later, we now have a much better understanding of what constitutes a healthy diet. Researchers have identified how certain foods can adversely affect our health while other foods can protect us from heart disease, cancer and diabetes and improve our energy, focus and emotional stability. There is a lot of truth to the adage, “You are what you eat.” As nurses, we play an important role in educating others about healthy eating. This newsletter provides information about MyPlate – the USDA’s new food model, recent nutrition related research and practical nutrition tips and recipes to help you spread wellness through better nutrition. It just got a lot easier to answer that question with the help of the USDA’s new food model, MyPlate. 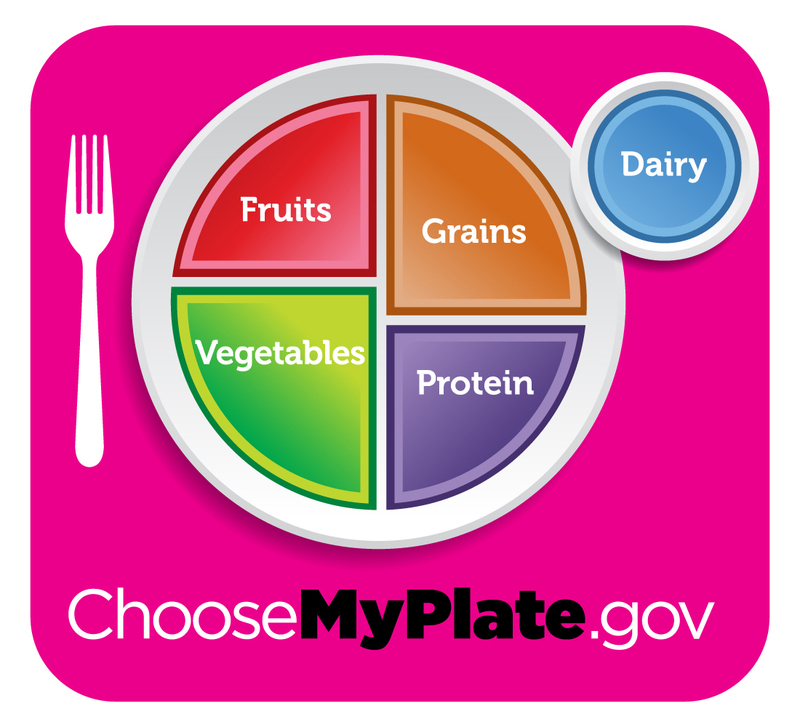 Earlier this summer the USDA replaced the FoodPyramid with MyPlate. According to the USDA, while the visual illustration has been updated, the information about what and how much to eat has not changed. The beauty of MyPlate is that it is a simple, visual reminder of how we should be filling our plates. Notice that half of your plate should be fruits and vegetables. Eating processed meats such as hot dogs, sausage and bacon can increase your risk of Type 2 diabetes by up to 51 percent, according to a study published this month in the American Journal of Clinical Nutrition. The study included data from the Nurses’ Health Study I & 2. A serving of unprocessed red meat, such as hamburger, steak, pork or lamb, per day was linked to a 19 percent increase in risk of diabetes. Spread the positive news – substituting one serving of red meat per day with one serving of nuts, low-fat dairy or whole grains was associated with a 16 to 35 percent decrease in the risk for Type 2 diabetes. Many recent studies have shown that nuts can protect your heart, relieve stress and prevent diabetes. Nuts contain the heart-healthy monounsaturated and polyunsaturated fats as well as omega-3 fatty acids and they are a good source of fiber. According to the FDA, eating about a handful (1.5 oz) a day of nuts, such as almonds, hazelnuts, pecans, pistachios and walnuts may reduce your risk of heart disease. The Nurses’ Health Study found that those who ate more than five ounces of nuts per week had 1/3 fewer heart attacks than those who rarely or never ate nuts. Just beware that nuts are high in calories- 160 – 200 calories per ounce. Most American eat enough grains, but few people eat enough whole grains. The USDA recommends that at least half of our grains are whole grains. Examples include oatmeal, quinoa, whole wheat, brown rice, whole cornmeal and barley. Jen Fournier, RD shares a couple of her favorite whole grain recipes. View her nursing CE webinar, “Creating Meals for Lasting Satisfaction & Energy” for healthy eating strategies you can teach others.